Acute injury management of all soft tissue injuries (ie. swollen sprained knee or ankle) is offered. We will attempt to accommodate patients by providing immediate assessment if scheduling permits. Treatment may include the application of protective bracing, bandaging and splinting, ice, interferential current, laser therapy, and/or pneumatic intermittent compression. 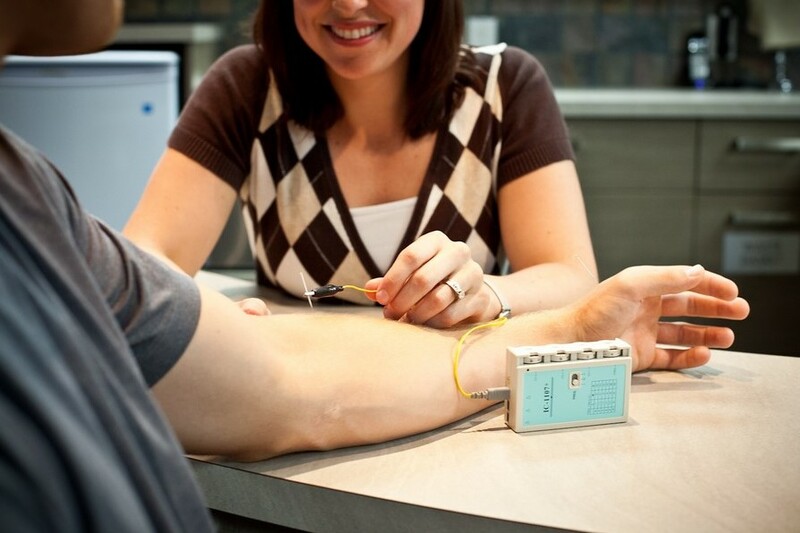 Various modalities including ultrasound, low intensity laser therapy and electrical neurostimulation will be utilized in the treatment of pain, muscular weakness and swelling. Therapeutic laser delivers a focused beam of light energy photons that are absorbed selectively by injured cells and transformed into biochemical energy in the mitochondria of the cells. The effect is photochemical. The converted energy stimulates production of new proteins needed for cellular repair of injured soft tissue. Excellent modality for wound healing, anti-inflammatory application and pain control. The physiotherapy staff will constuct a program for at home or within the clinic depending upon your needs. The program will be formulated with or without equipment, again depending upon your personal situation & needs. Get Your Personalized Exercise Program Here. Manual therapy involves the treatment of various orthopedic conditions by the use of a physiotherapist's hands. This may include therapist-assisted stretches, joint mobilizations and manipulations, local soft tissue massage and acupressure myofacial release. Manipulative therapy is performed by physiotherapists with advanced training in orthopedics. Local massage techniques are often incorporated into an individualized treatment program. Site specific therapeutic or relaxation soft tissue massage and acupressure techniques may be performed by licensed physiotherapists. A mechanical traction unit provides the ability to longitudinally stretch the neck and low back. The technique is comfortable and often utilized for the treatment of various spinal conditions including disc protrusions, degenerative disc disease and spinal arthritis. The gymnasium area of the clinic houses state of the art aerobic and strengthening equipment, this includes upright bikes, recumbent bikes, upper body cycle, elliptical, motorized variable speed/grade treadmill and a multi-user variable resistance exercise station and therapy balls. 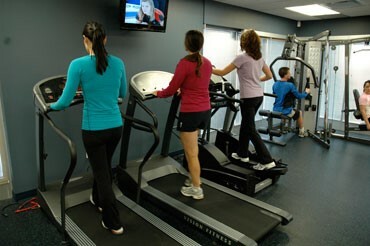 Often resisted or aerobic exercise is utilized in a patient's physiotherapy treatment regime. Neurologic conditions such as Stroke or Acquired Brain Injury often lead to significant physical impairments resulting in life altering changes in functional ability. 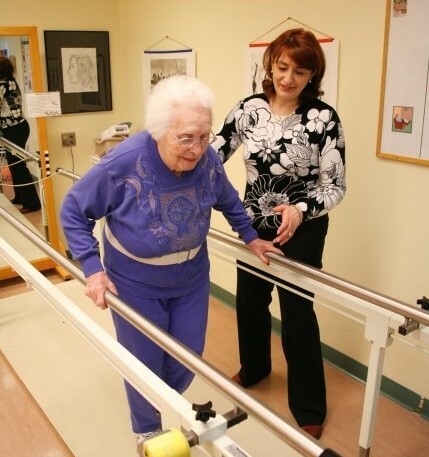 inMotion NETWORK is able to provide intensive rehab for clients who have suffered a stroke or acquired brain injury or for those who are living with Parkinson’s disease, Multiple Sclerosis, ALS or other neurological conditions. 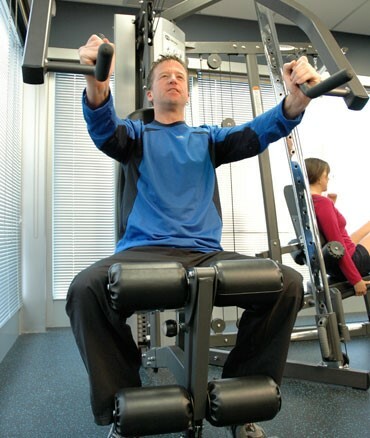 Treatments will be highly individualized to the patient’s needs and could include but are not limited to: development of specific exercise programs to facilitate motor recovery, SAEBO training (http://www.saebo.com/), gait re-education, pain management, cardiovascular endurance retraining, and task specific functional training activities. Programming will be geared towards the client’s specific goals and can be available at local rural hospitals, at the clinic or within the home dependent upon scheduling and patient needs. Protective taping, tensoring and bandaging services and supplies are available for treatment of musculoskeletal injuries. Often athletes requiring "extra" support require taping in order to facilitate earlier return to activity. 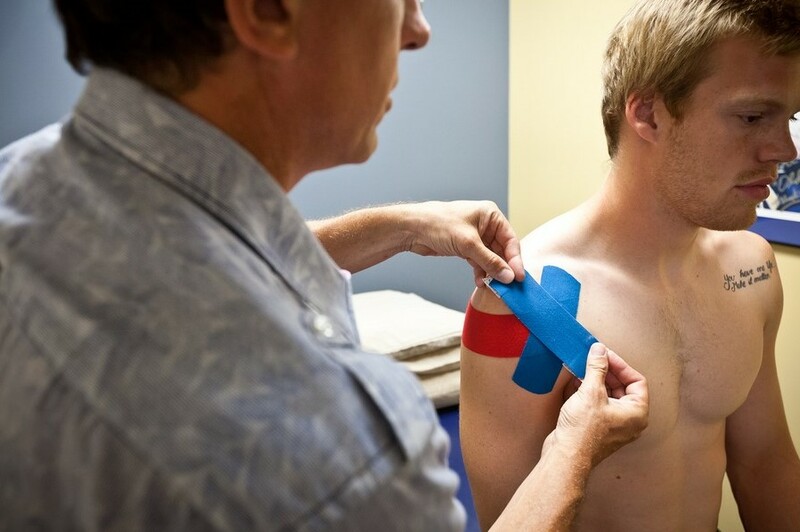 Kinesio taping as demonstrated in the picture above, is a relatively newer taping technique that has several neurophysiological effects on the tissue dependent upon how its applied. Kinesio tape can inhibit muscle tone, facilitate muscle activity, reduce swelling and support injured tissue dependent on the tension and direction the tape is applied. TMJ dysfunction is a disorder involving the mechanics of the jaw. The temperomandibular joint (TMJ), like any other joint in the body, can develop joint arthritic problems or be negatively influenced by muscle imbalances, whiplashes or extensive clenching of the teeth. Often these patients are referred from local dentists or oral surgeons from Winnipeg for the treatment of TMJ dysfunctions. 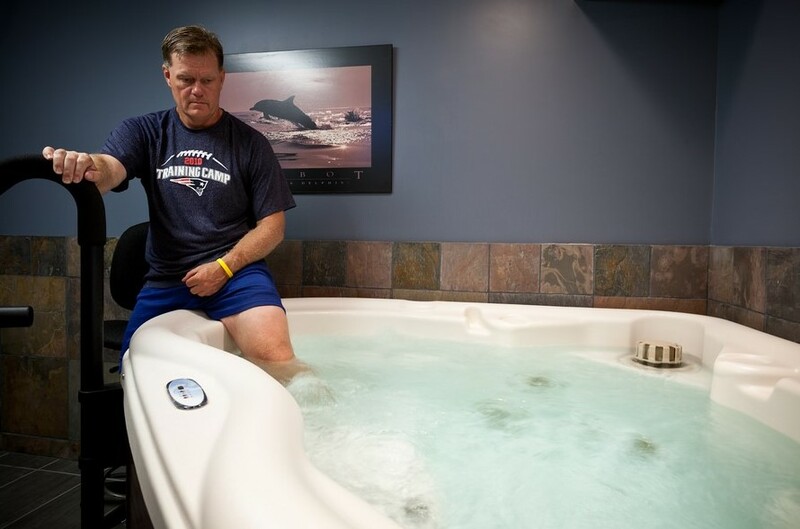 A hydrotherapy hot tub is available in Stonewall, moist heat packs and a wax bath are extensively used at most clinics. Often "heat therapy" can expedite the healing process, allow for easier and faster gains in stretching and provide an environment of pain relief. Suitable problems include arthritis, sports injuries, tendonitis, post surgical rehab and countless more.